Okay, let me just say I love soup. It’s so good. And it’s so easy to make! It’s something I eat quite often at home, but is vastly underrepresented here on Well and Full. 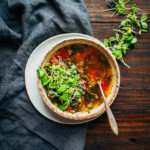 So I’m going to start a little mini-series called “Soup Sundays”, where I post an easy and delicious soup recipe with a bunch of links that have caught my eye over the week. Kind of like smoothie sundays, but with soup! Perfect for the cold weather. 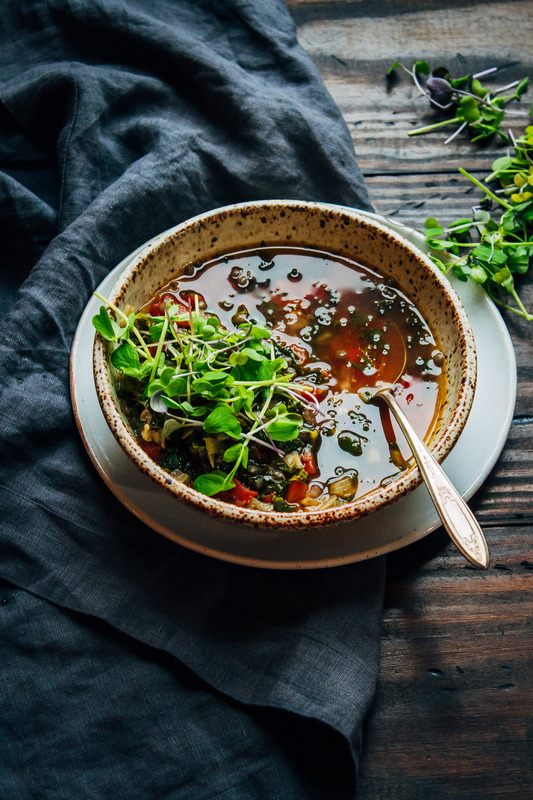 2 // MindBodyGreen has always been one of my favorite sources for holistic health information – they have a wealth of articles about nutrition, fitness, mindfulness, and all things wellness. Recently I was lucky enough to write an article for them about what “detoxing” really is. You can check it out here! 3 // The MoMA has taken a stand against the controversial Travel Ban by featuring artwork from the seven Muslim-majority countries. I think this is absolutely amazing, and such a peaceful but powerful way of resisting the ban. 4 // In these times, I think it is so important to appreciate and show respect to the women in our lives. My local art museum, the Wadsworth Atheneum, is featuring a collection of art depicting the strength of women. 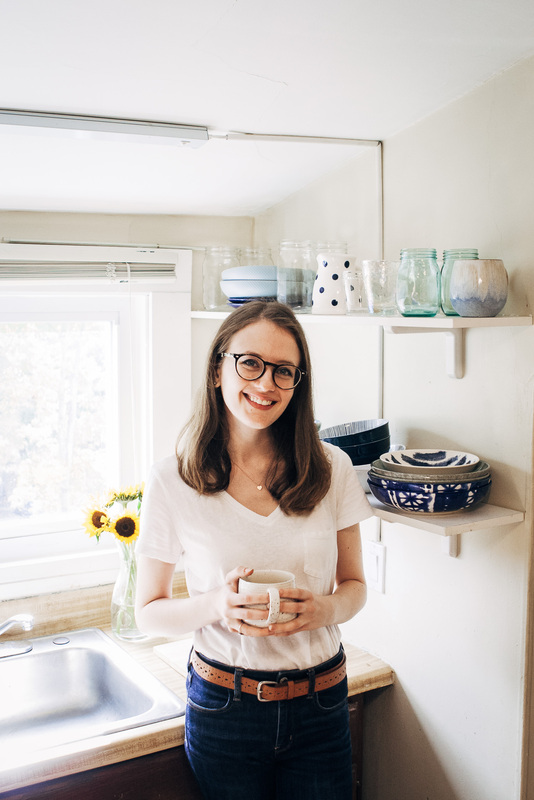 6 // A food blog I’ve really been enjoying lately is Lauren Caris Cooks. 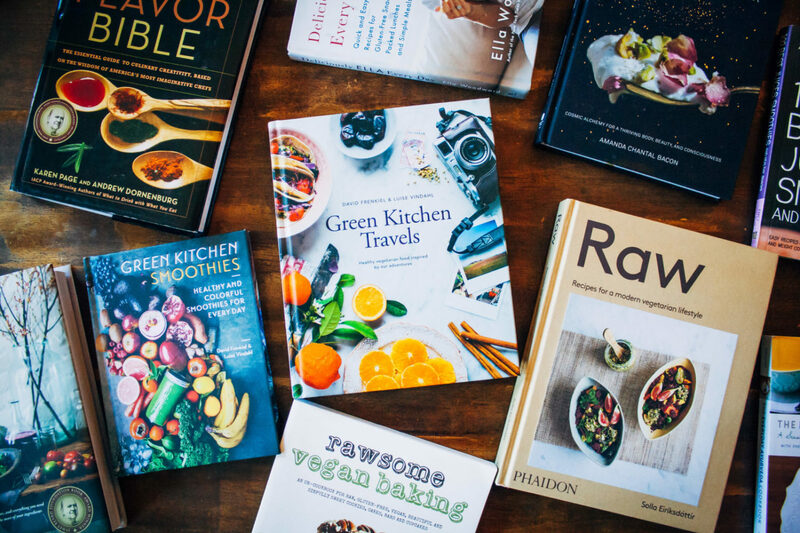 Lauren’s recipes are mouthwatering, her photos are gorgeous, and she promotes animal rights using her platform. 7 // These nut milks + quinoa cereal by Golubka Kitchen look divine!! Just a quick personal note – I know I have readers all over the political spectrum. But whatever you believe, keep informing yourself. Keep asking questions. Keep searching for the truth. NO ONE PERSON HAS A MONOPOLY ON THE TRUTH. Question everything! 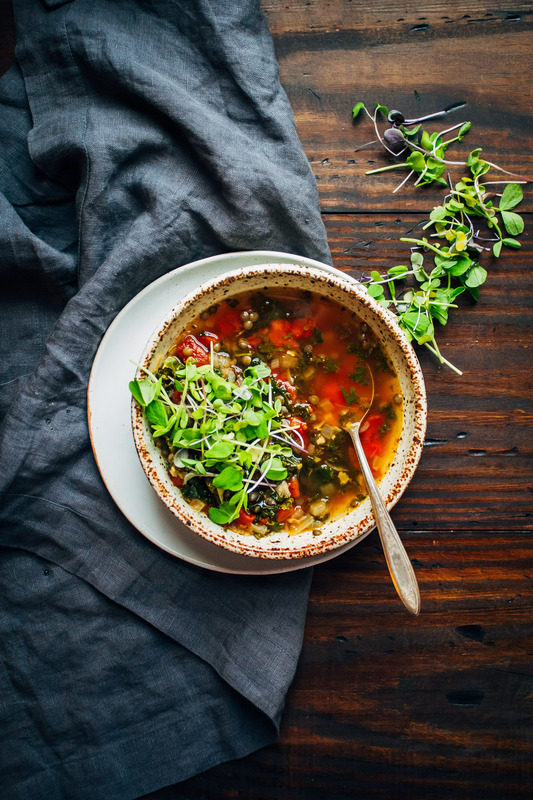 This spicy kale soup takes about 30 minutes to throw together, but the flavors are complex and delicious. The perfect weeknight meal! Bring a soup pot to medium heat with a glug of extra virgin olive oil. Add in the diced/minced onions and sauté for about 5 minutes, or until onions are softened. Then, add in the minced garlic and chopped kale greens, and sauté for another 1-2 minutes, or until garlic is fragrant. Be sure not to let the garlic brown - it will change the flavor of the soup. After, add in the vegetable stock, diced tomatoes, lemon juice, and spices. Mix well. Simmer everything for about 15 minutes, so the flavors can really meld. 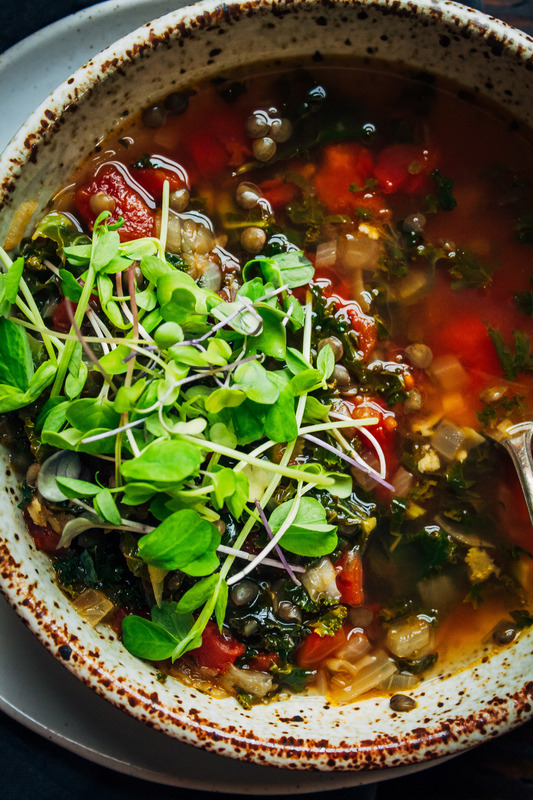 When done, serve in bowls with black or French lentils. Spicy broth is one of my favorite things ever. Whenever I make a spicy soup, I have a huge urge to just drink the broth and leave the rest…..but this looks too good to just do that with. I LOVE spicy broth too! Even when I make soup recipes for this blog that aren’t meant to be spicy, I always add in a little cayenne after I’ve photographed the recipe for when I eat it ;) Thanks Annie! This looks amazing <3 loving the links and CONGRATS! so well deserved! Well this would certainly warm me up! Loving how much flavor you packed in, and the always gorgeous pop of fresh green to go with :) Okay cereal with flavored milk–that is genius! Why didn’t I think of that? ?